Located at the heart of Central Kentucky&apos;s famed scenic Bluegrass Region, Lexington is home to downtown skyscrapers overlooking acres of lush pastures. 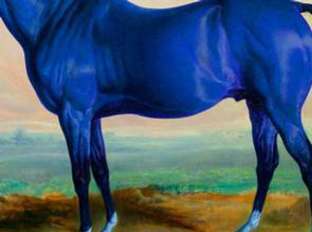 It&apos;s where champion horses are bred, foaled, trained, bought, sold, raced and retired. 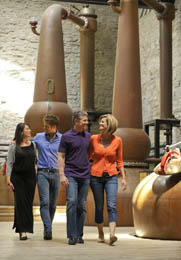 It&apos;s where bourbon was born and our historic distilleries are still producing America&apos;s only native spirit. We also have surprising connections to the birth of the wine industry. Lexington and the Bluegrass Region is filled with not-your-typical story ideas, like those listed in the Idea Guide. Visit our Press Room for updates on the latest newsworthy happenings and special events, or register to receive a media kit plus our "Weird and Wonderful Facts" brochure. See this page for links to recent coverage. 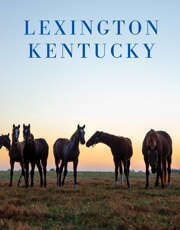 Lexington is a favorite topic for many travel writers and bloggers. See what they have to say. VisitLEX, Lexington&apos;s convention and visitors bureau, provides a variety of services to journalists working on projects to promote travel to Lexington&apos;s Bluegrass Region and to meeting planners organizing conventions in Lexington. Contact the Media Services department with as much lead time as possible. At least 30 days notice is appreciated. A selection of high resolution images is available for non-commercial use in promoting Lexington as a convention or leisure travel destination. These images may be used for editorial purposes to accompany a tourism article about Lexington&apos;s Bluegrass Region or to promote an upcoming meeting or convention in Lexington. Please click here to view available images and submit a usage request. Stock B-roll video footage featuring Lexington&apos;s Bluegrass Region is available for editorial use by broadcast media. The B-roll is free of charge for such use for a period of 30 days; however, a Video Use Contract must be submitted and approved. Once the Video Use Contract is approved, the tape will be mailed immediately for delivery within 3-5 business days. To download a PDF version of the contract, click here. Once the contract is complete, please submit by fax to 859-254-4555 (attn: Niki) or by email to lexmedia@visitlex.com. If you have questions or need assistance, call Niki Heichelbech at (800) 848-1224 or (859) 244-7707 or lexmedia@visitlex.com.